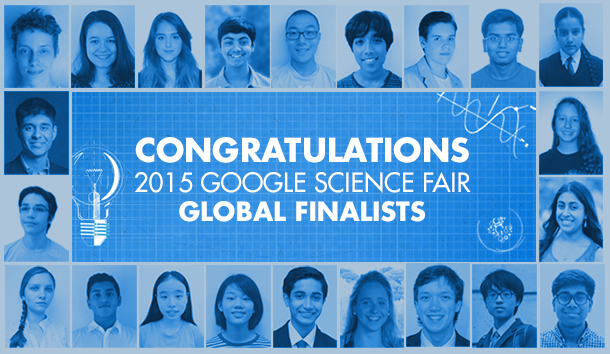 20 teens and their brightest STEM concepts come to life in the latest Google Science Fair. Reading about the big ideas presented by the 20 global finalists of the 2015 Google Science Fair is a glimpse into the future of science. From gardening with a smartphone-controlled robot to detecting environmental changes with nanotechnologies, thousands of teenagers from across the globe are using their minds to solve world problems — and for a chance at a $50,000 scholarship and other prizes. Google officially announced the finalists earlier this month. Throughout August, the company will be highlighting the finalists and their journey to bring their big ideas to fruition. And on Sept. 21, these finalists will visit Google headquarters in Mountain View, Calif., to present their projects to judges. "The 20 discoveries of the global finalists began as simple curiosities, and have the potential to change the world," said Andrea Cohen, the science fair's program leader, during the announcement of the finalists on Google Hangout. These student science projects range from the futuristic and complex to simple but powerful notions using everyday, natural products. These include a method to detect impurities in gasoline just by scientific knocking, producing hydrogen storage material and biodiesel by using chicken feathers and fat, and absorbing water pollutants with corn cobs. Krtin Nithiyanandam, U.K. — Improving diagnoses and treatment of Alzheimer's with a new, molecular "trojan horse"